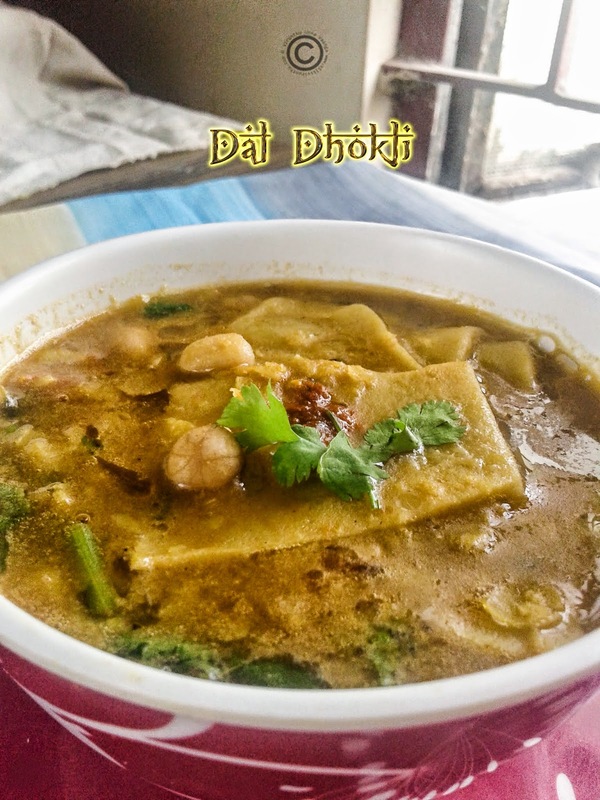 Dal dhokli is a very delicious Gujarati cuisine and one pot meal. 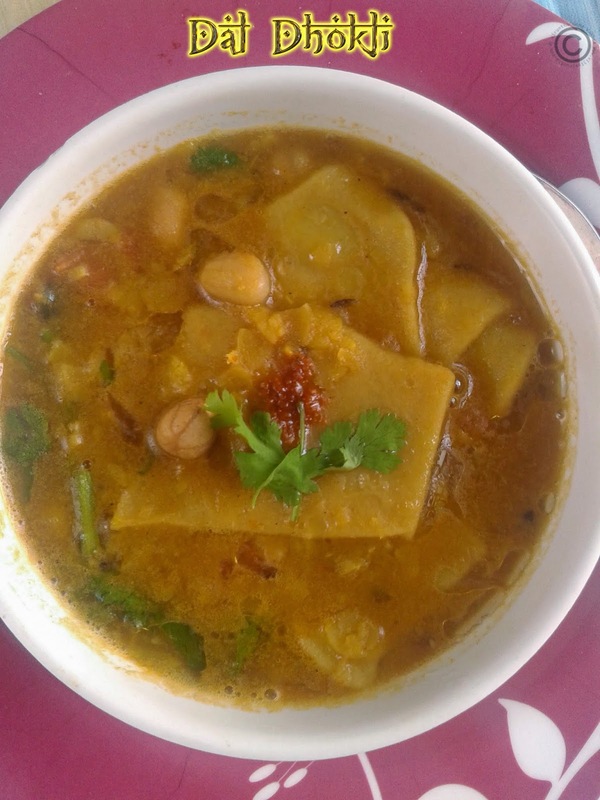 Wheat flour dough pieces are simmered in gurajathi dal, which gives a unique flavor and filling meal. It doesn’t need any accompaniment, the whole dish gives your entire satisfy. 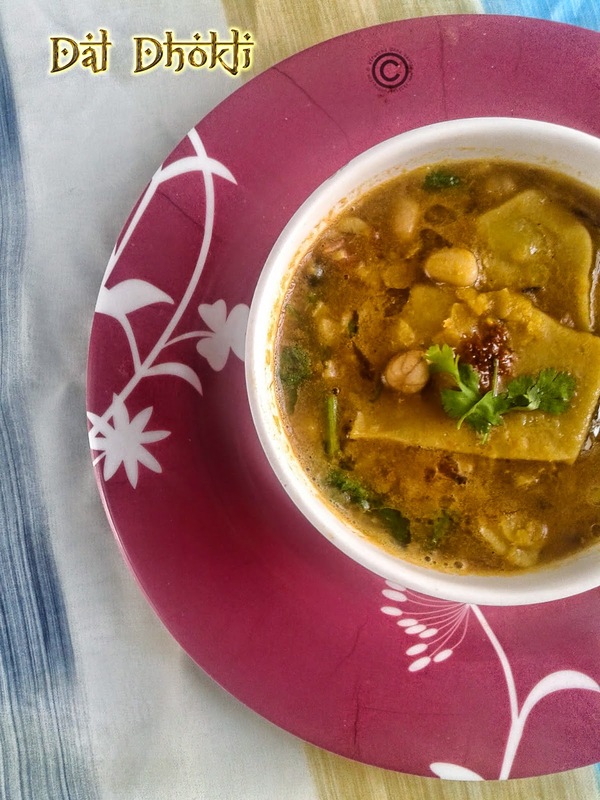 Add of peanuts gives crunchy in between the soft dhokli pieces. I would say in South style as Sambhar Chapathi. Yes! 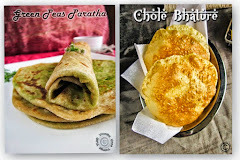 It’s similar to chapathi soaked in sambhar but will give a different flavor and taste. Pressure cook peanuts and toor dal with turmeric powder, castor oil, garlic if you are using up to 3 whistles. Soak the tamarind in ¼ cup of water. Meanwhile, take a wide mixing bowl, add whole wheat flour, turmeric, red chili, coriander, garam masala powder with salt and mix it once. Add oil and water, knead into smooth chapati dough and cover it with a damp cloth and keep it aside for 20-30 minutes. Heat oil/ghee in a pan; add cumin seeds wait for golden brown. Now add chopped ginger, green chilies and curry leaves, saute it for 2 minutes. Then add hing and tomatoes and saute it till mushy. Now add sambhar powder, red chilli powder, coriander powder and salt. Saute it till the raw smell goes off, now add mashed cooked dal and peanuts mix it once. Add tamarind pulp water and allow them to boil and keep the flame on simmer. Now add garam masala mix it once and allow them to cook on low flame. Meanwhile, divide the dough into equal balls and give them a round shape. Dust little flour on the counter top or board, roll the dough into thin circles. 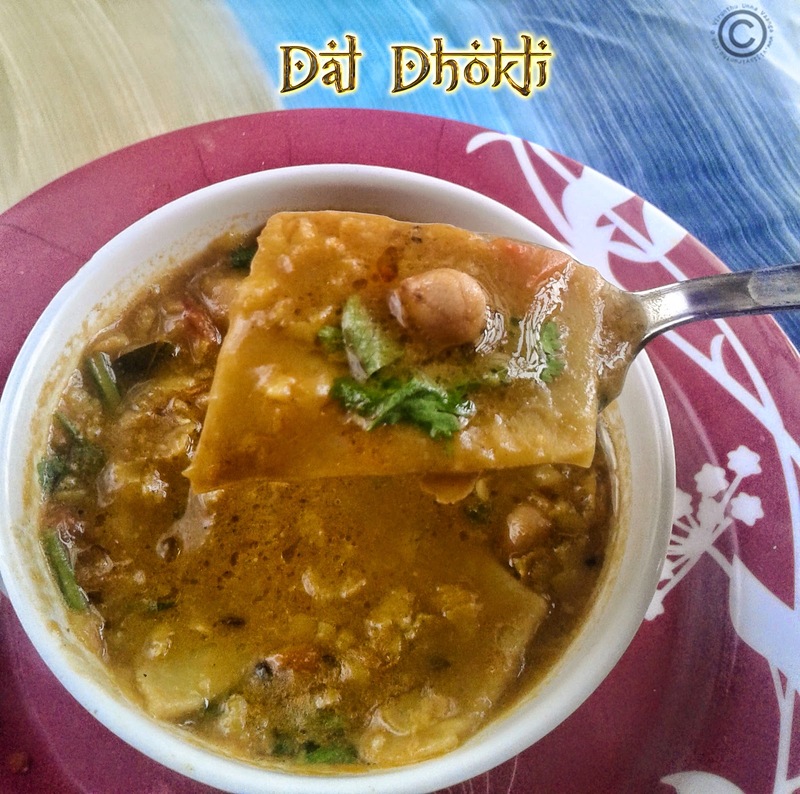 Cut it into multiple small diamond shapes using a knife or pizza cutter, its called as Dhokli. Now increase the flame into higher, while the dal mixture boils, slowly add the diamond shaped pieces into it. Don’t stir it immediately and do not overload the pieces, hence it will be sticky to each other. After 1-2 minutes, add the next batch pieces and stir occasionally in between. Repeat the process with remaining dough, cut them into pieces and add to the dal mixture. After adding all pieces, allow to cook them over medium flame until the dhokli cooked well or the raw smell goes off from the pieces, it will take 10-12 minutes. Switch off the flame and spread coriander leaves. Garlic is optional; personally I love the garlic flavor, so I added. But you can avoid garlic to make No garlic No onion dal recipe. 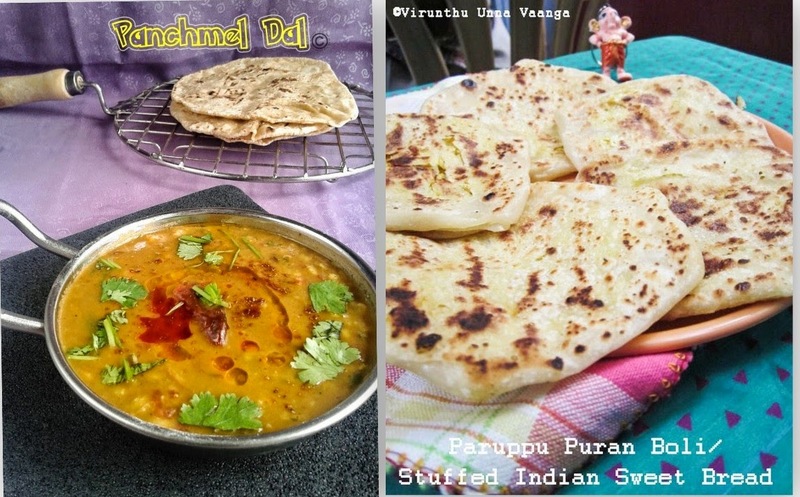 Peanuts give crunchy taste and flavor to the dal, so I recommend to add it. While cooking, if the dal becomes thickened, add little water to loosen them. 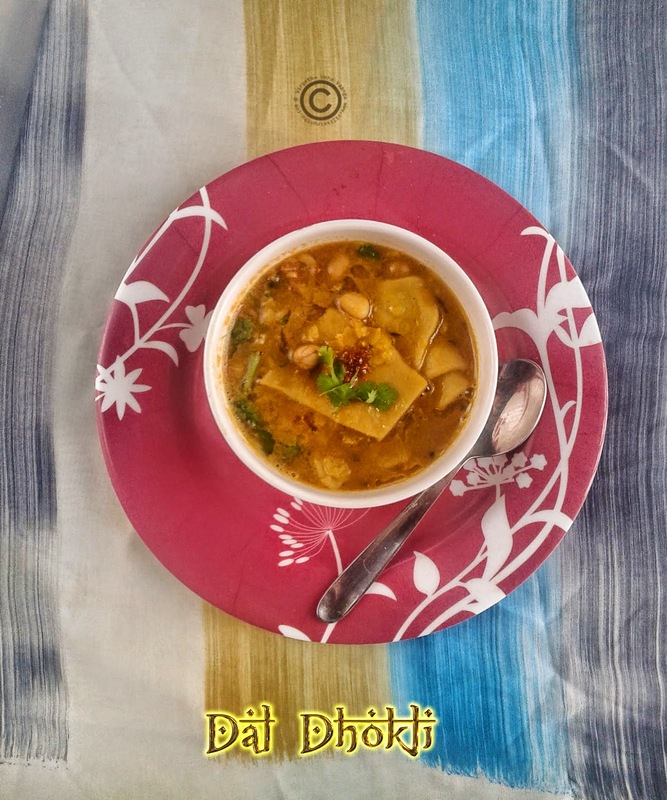 Add dhokli pieces one by one, to prevent coagulation with other pieces. In the original recipe, whole spices added while tempering, but I added garam masala powder at the last in dal mixture. In traditional, kokum will be added to the dal, but I don’t have kokum so I used tamarind water or you can use lemon juice.